The midwinters took place under clear skies, light breeze and mild temperatures. At the last minute we were able to find a crew (Jessica) for Karyn, who made it to the start lin about 40 seconds before the gun of the first race: way to go! 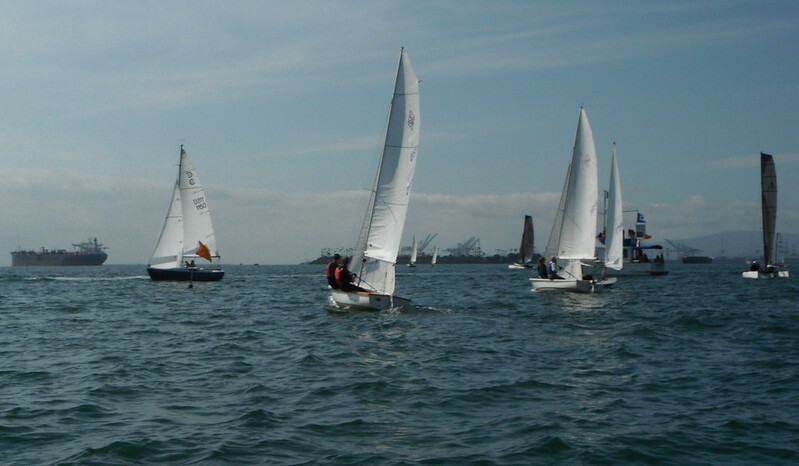 There were 5 boats that made it – all from fleet 2 in Marina del Rey.